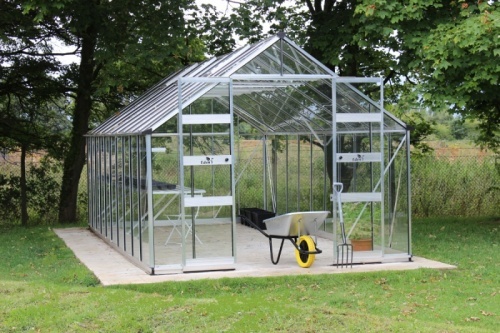 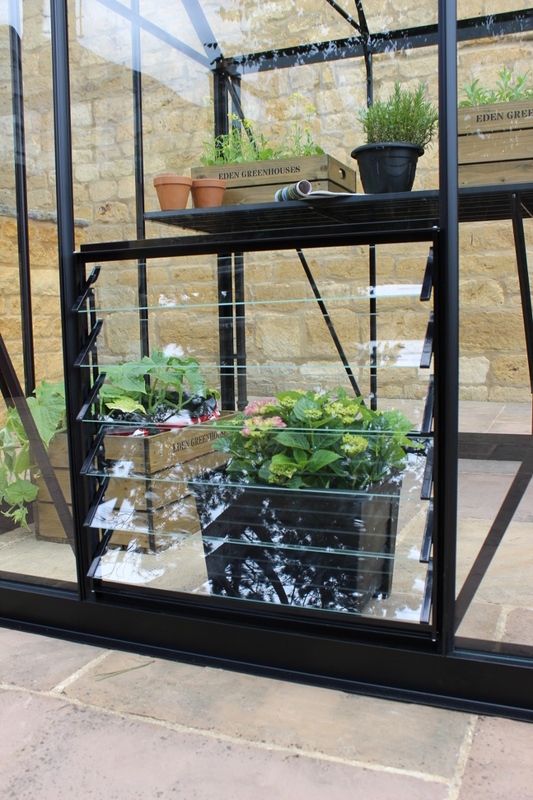 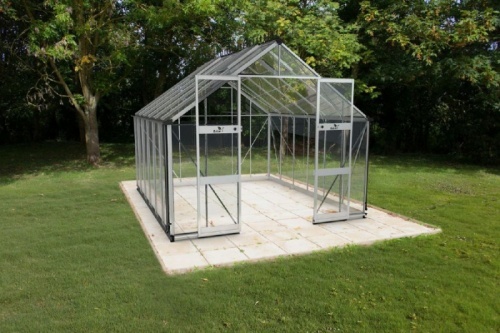 The Blockley is an 8′ wide greenhouse with double sliding doors, featuring Eden’s new Zero Threshold™ door system, four large roof vents and built in wide gutters with downpipes supplied as standard. 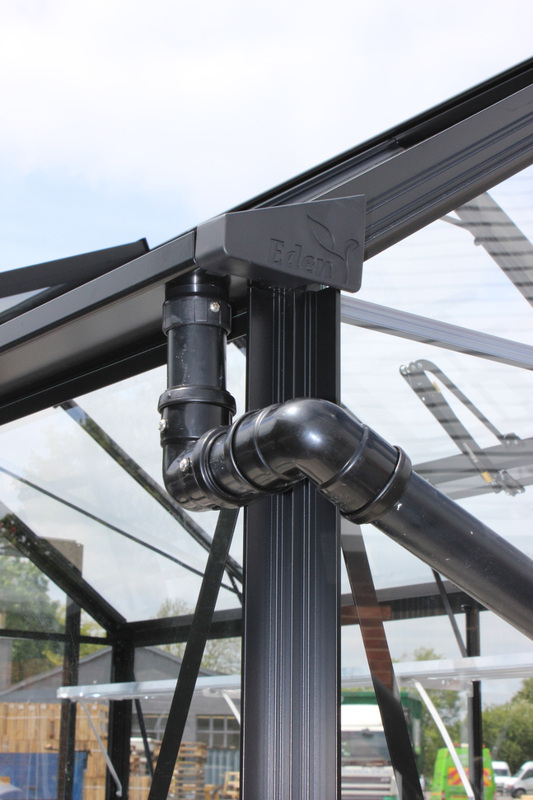 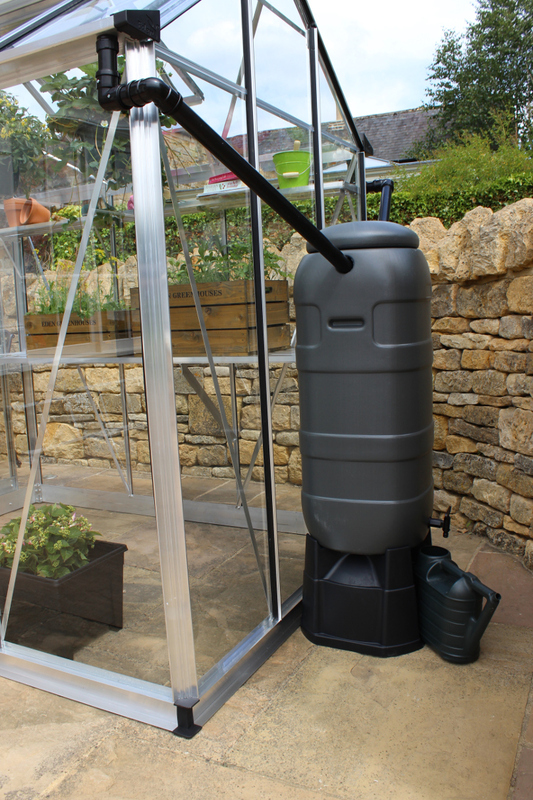 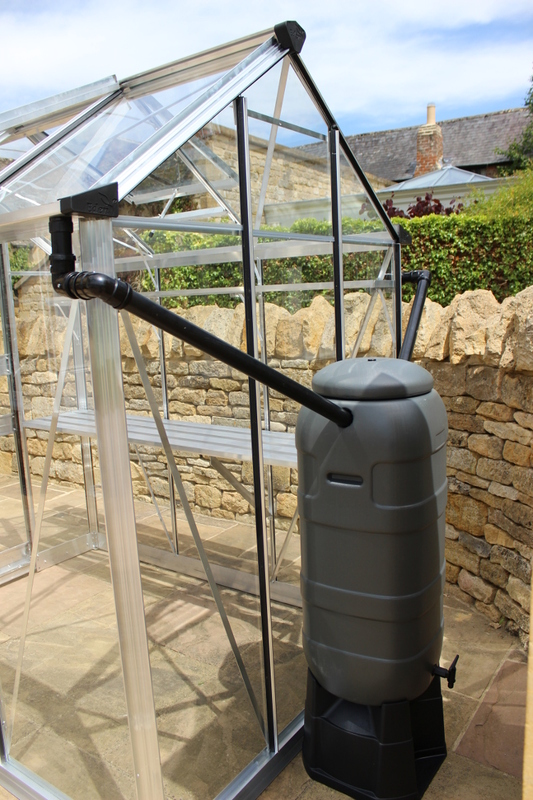 The Blockley is supplied with a strong integral base providing faster installation and cost reduction over a separate base. 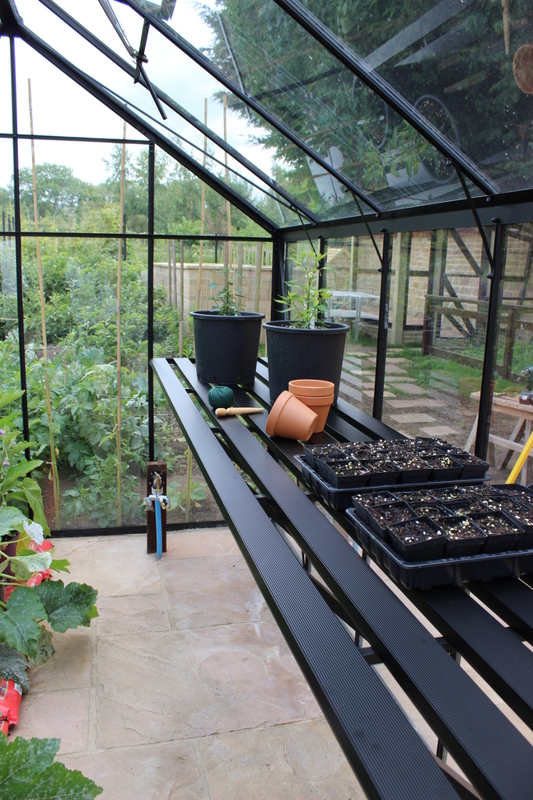 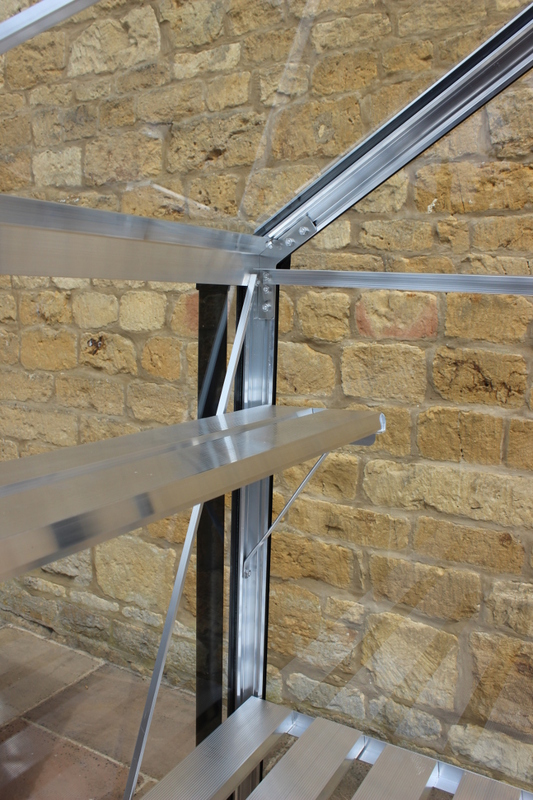 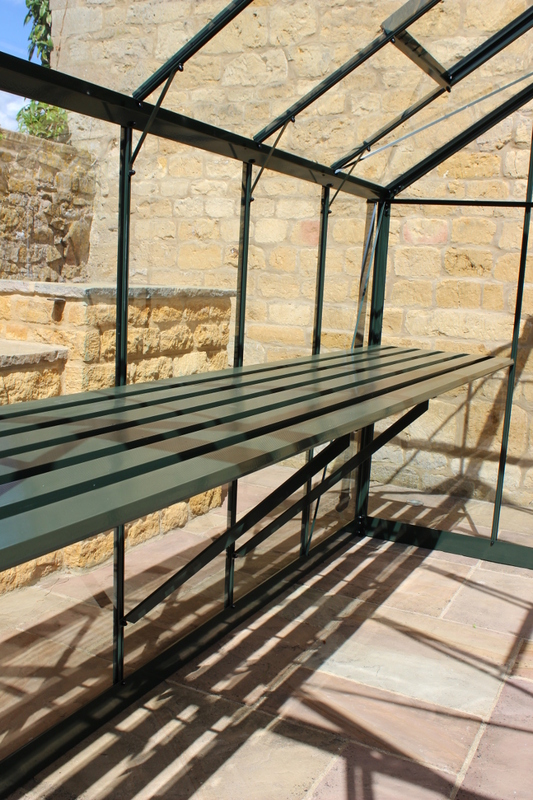 The high eaves give a spacious, airy feel and ensures a great atmosphere for you and your plants. 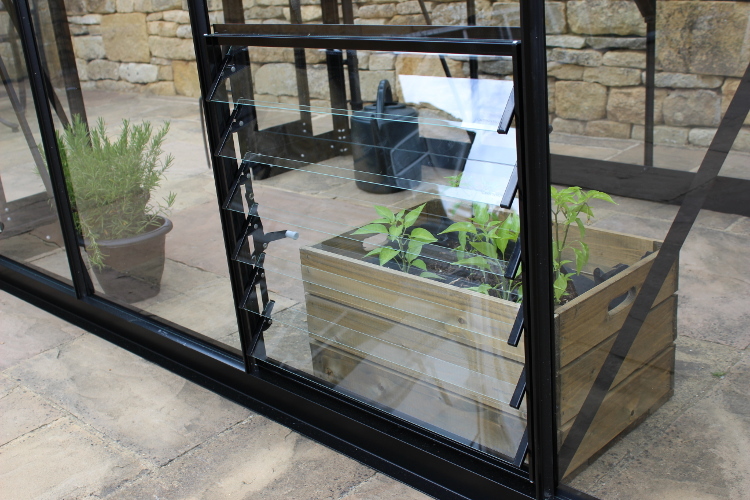 Choose from 3mm horticultural glass, 3mm long pane toughened safety glass.